When it comes to internet marketing software, there are two names that have earned quite the reputation for themselves. The first is Kartra and the second is ClickFunnel. Have no doubt that these two programs are exceptional and can both help a budding entrepreneur take their business to the next level. That being said, they have their fair share of similarities and differences. And, at the end of the day, you should only invest in one or the other. As a new business owner, you’ll need to decide which of these powerful software suites would work best for your company. Do you need a software package that focuses on building sales funnels or do you need a software suite that incorporates all of the marketing tools needed to run an online business? Before you answer that, let’s take a look at each of these marketing programs to compare what they have to offer. Russell Brunson created ClickFunnel because he understood the dilemma that potential entrepreneurs faced on a daily basis. They had the idea of a product or service. They could visualize themselves succeeding. They knew that what they were planning could make it big. But they had no idea what to do next. In many cases, it was because they didn’t know how to code or design websites. This digital age of business is very unforgiving to those who don’t consider themselves tech gurus. If you’re all about business but are stuck behind the technological curtain, then it’s going to be nearly impossible to succeed. For a long time, the only solution was to pour thousands of dollars into a website design company all for a website that may or may not succeed. It was risky. Enter ClickFunnel. ClickFunnel is designed to help you take back the power from the so-called tech gurus. It doesn’t matter if you can’t program, code, use HTML, design a CSS style sheet, or if you don’t know the difference between Java and Flash. ClickFunnel can build websites nearly instantly and those sites have a marketing design that leads visitors down a sales funnel. At the end of that funnel, they convert to paying customers. Every web page is created in three steps. The first step involves choosing a specific type of sales funnel. The sales funnel you choose is already associated with a type of product or service. They are linked together based on research and statistical analysis. 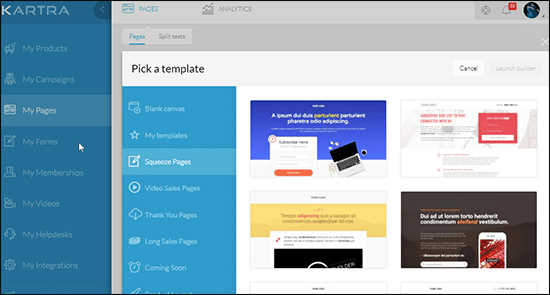 Some examples include lead magnet funnels, survey funnels, and squeeze page funnels. The second step is all about picking a specific page design. You don’t want every website created with ClickFunnel to look the same. That’s why they include a huge variety of design options. Every page created is meant to be unique, yet doesn’t require any coding skills. Unfortunately, the design variety is not very large and if you create a dozen different sites, then you are bound to notice some strong similarities. The third and easiest step is simply clicking a button. The website is pieced together in about ten seconds and launched. Overall, ClickFunnel is a great way to create websites in a hurry. 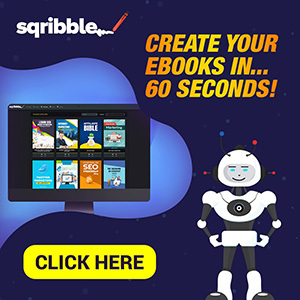 The fact that those websites are built around proven sales funnel techniques is what makes this program much better than your typical website creator. The major set back of this marketing software is that it’s limited to only creating these pages. There are still plenty of marketing needs that your website will need if it’s going to attract traffic to be led down that sales funnel. How does Kartra compare? The first thing you need to know about Kartra is that it can accomplish the same thing as ClickFunnel, but using different methods. And, it doesn’t happen quite as quickly and easily as ClickFunnel. That being said, the pages that Kartra can be used to create are often more diverse, authentic, and marketable. Kartra is a full set of marketing tools. Imagine hiring an in-house team of marketing professionals to work with your small business from day one. Wouldn’t that give your new business a serious competitive edge and increase its chances for success? That’s close to what you’ll be getting when investing in Kartra. Created by marketing professionals Andy Jenkins and Mike Filsaime, Kartra is designed as a goal-oriented program rather than a task-oriented program. That might sound like little more than a play on words, but you’ll begin to notice it makes a big difference on how you approach marketing goals and how you accomplish them. 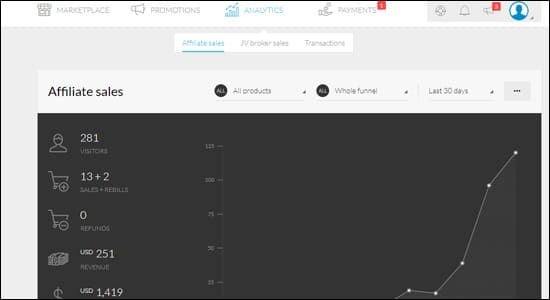 For example, with ClickFunnel, the task is to create a sales funnel webpage. You open the program, click a few buttons, and the task is completed. With Kartra, you think in reverse. You want to consider the ultimate goal at the end of that sales funnel. The end of a sales funnel is usually a thank you page, which is shown after a visitor is converted into a lead. You will create the thank you page first and work backward. It is definitely an unusual process at first, but it’s one that has been proven to work on many occasions. You aren’t able to utilize that method of thought with ClickFunnel because it does all of the work for you starting from the beginning. While Kartra definitely does a large majority of the work, it doesn’t quite hold your hand like ClickFunnel does. Kartra lets you maintain a great deal of creative control and it shows with all of the web pages you create. 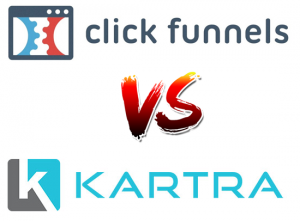 If you were to look at the start page for ClickFunnel and the start page for Kartra you would immediately see the difference between how the two operate. ClickFunnel displays a list of 22 different sales funnel types and asks you to choose one for your website. Kartra, on the other hand, has options for working with a blank canvas, an option for sales funnel, an option for templates, an option for landing pages, an option for video sales pages, and several more page options. The differences continue to grow even as you begin to create a page. With ClickFunnel, the next step after choosing a sales funnel is to choose a few different design elements and move them around the page. Kartra offers a large variety of different options that relate to visual design, but also some that will impact marketing strategies as well. 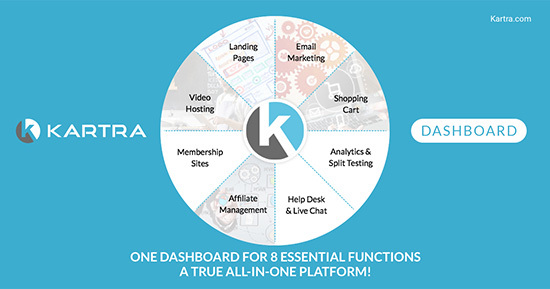 Kartra has several additional features that are outside of the scope of what ClickFunnel offers. One of their strongest features is their automation process. You can use their automation options to create nearly-instant responses to customers, to create email lists on the fly, or to create simple sales funnel pages. The strongest aspect of the automation feature is how it lets you engage with leads without actually putting forth a lot of effort. A second powerful feature is their tagging system. This lets you add specific information to leads or customers who exist in your list. When combined with the automation system, you can easily store a significant amount of information on your leads without manually inputting all of the data yourself. While there is no denying that ClickFunnel is a great tool for quickly creating simple sites with a strong sales funnel, you will need more than that to grow a successful business. 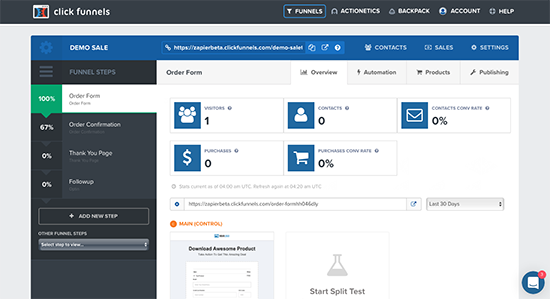 Kartra can provide you with all of the tools that ClickFunnel offers, but with more customization and more features like automation and tagging. Both are great programs, but at the end of the day, Kartra is better for business. For my full Kartra Review click here to sing up as an affiliate click here. Click the button below NOW to get Instant Access to Kartra. Digital marketing technology moves at the speed of light. There pace of innovation in the digital marketing space is so great that marketers always need to be one step ahead in order to play the game. These innovations and available of so many software solutions are there to help digital marketers but dealing with so many systems gets overwhelming quickly. More often than not, the technology that is supposed to help a marketer get ahead becomes a tight noose around the neck. This is the reason, Mike Filsaime and Andy Jenkins have come up with a new game changer integrated solution for marketers. If this is the first time you have come across this name, you are a complete beginner to the Internet marketing landscape. Andy Jenkins is a well-known name in the Internet marketing community. He is well known for being the name behind Stompernet which became known as the premier training place for online marketers at its launch. It won’t be wrong to say that Stompernet launch was the event that established Andy Jenkins in the IM community. After all, Stompernet launch resulted in sales of over 18 million in the first 24 hours, a feat that still does not have a parallel in the industry. He is an expert in search engine optimization, video marketing and various other digital marketing disciplines. He studied filmmaking in college and while working at Microsoft, he came up with the idea of creating a store for Medieval weapons. The store was a big success and prompted Andy Jenkins to focus on his internet marketing career. 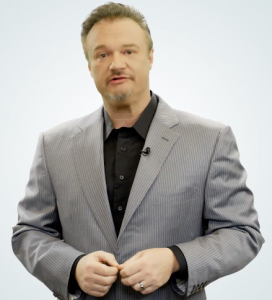 Since then, he has created dozens of successful products to help other marketers and is right regarded as a visionary marketer. He is most recognized for his various digital marketing courses but he is much more than a digital marketer. He is a renowned business consultant, speaker, software developer and an author. He has been to over 20 countries sharing his knowledge about Internet marketing. 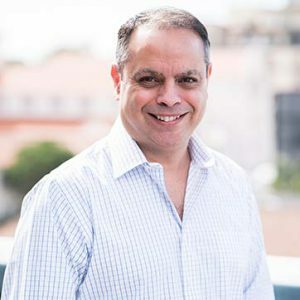 He started in the digital marketing industry in 2002 and since then, he has been the force behind some of the biggest Internet marketing products in the industry. His companies have generated over USD 50 million in revenue in just a decade. Andy Jenkins and Mike Filsaime merged their companies in 2013 in order to focus on small business. Over the past few years, they have come up with quite a few highly successful Internet marketing products which shows they understand what people want. This is a webinar platform that was launched by the team of Mike Filsaime and Andy Jenkins in the beginning of 2014 and it is still going strong. Over the years, a number of webinar platforms have emerged as marketers have discovered the potential of selling products through webinars. When they launched this product, there were very few options available to marketers. They understood the potential of webinars for entrepreneurs like you and created a really good product that offered unlimited webinars with unlimited attendees at that time. There was no other product at that time that offered such a great deal at such a low price. The success of this webinar platform shows that they have the technical expertise and knowledge to create a successful business platform. Another good news is that they have continuously updated the software and worked out all the kinks. In fact, the software is regularly updated to provide new features to the subscribers. It is another webinar product by the winning duo of Mike Filsaime and Andy Jenkins. This product allows marketers to completely automate webinar marketing. Marketers have the option to record their webinar earlier but the solution makes it look like live webinar. It frees marketers to focus on the core business of driving traffic to their sales message in order to make more sales. This webinar solution also integrates with various auto responder email services and comes with a variety of high quality opt-in templates. At the time of its launch, there was no other affordable solution that offered these features. This product has also been available for a few years and the success of this product shows that the winning duo of Andy Jenkins and Mike Filsaime are great at creating high quality and completely automated solutions to help entrepreneurs like you succeed in today’s ultra-competitive business landscape. Why you should care about Andy Jenkins and Mike Filsaime? Over the past few years, this team has launched multiple software and training solutions including highly successful WebinarJam, Evergreen Business System, Traffic Genesis, Video Genesis, Webinar Control and EverWebinar among others. All of these products have been highly successful and well regarded by the Internet marketing community. All of these products have achieved huge success due to the brains behind these products. The team of Mike Filsaime and Andy Jenkins is focused on providing completely automated marketing solutions. They are established Internet marketers who have shown that they are way ahead of the game. They continuously test out new solutions. Their want businesses to focus on selling instead of worrying about the backend technology. Kartra is a step in that direction. All of their software as a service products have been highly successful and the technical team behind these products has shown that they are capable of creating intuitive and user-friendly solutions. Also, they continue to add more features to their earlier programs. In short, they care for their customers. Kartra is a completely automated full business platform. It is a continuation of the idea by the team of Mike Filsaime and Andy Jenkins that businesses need completely automated solutions. Marketers should not have to worry about the technology backend. This software solution combines various aspects of digital marketing such as video hosting, list building, business management platform, affiliate management, email marketing, split testing, analytics, automated sales funnels, highly converting templates, live chat solution, membership websites and other such things that a modern digital marketer needs. What makes this product unique is that all the marketing functions are available under one roof and marketers do not need to worry about any aspect of digital marketing. Everything you need to build a successful online sales campaign is there. You just need to drag and drop a few things in order to start your new marketing campaign. If you want to learn more about Karta just read my review. Click here to learn how to sing up as an affiliate to promote Krata. The Internet provides so many different ways to make money that it is sometimes difficult to choose the right one. The method that is best for beginner marketers and those who are looking to get their feet wet with online marketing is affiliate marketing. Some people are so successful in promoting other people’s products that they make it a full-time venture and many are making five and even six figures per month. They promote these products on a regular basis but the best time to promote anything is during the initial launch. In April, marketers everywhere are going to be promoting Kartra, and for good reason. Kartra is an all-in-one business platform that is going to make such an impact online that it will be talked about for years. In fact, people are already talking about it and are anxious to get their hands on this unique and very powerful marketing product. Imagine if you were able to harness the excitement about Kartra and channel it into a few sales. It is not only the money, which we will discuss below, there are many other reasons why you need to jump on this affiliate launch immediately. How easy do you think it would be to get somebody to try out Kartra for only $1? Most of us spend much more than that on a cup of coffee in the morning. The beauty of the Kartra commission structure is that there is a lot of selling and upgrades taking place in the background. You may be promoting a one dollar trial but on average, you earn $175 for each of those that come through your affiliate link. In fact, if there is a one dollar trial that does not ask for a refund, you will end up with a $100 flat commission on every trial thereafter. The commissions continue to rack up on this offer. If anyone in your affiliate sales ends up continuing with their monthly subscription, you earn an additional 50% of that monthly fee for each of those accounts. It is amazing how quickly the commissions can add up with just a one dollar trial. Another reason to get your foot in the door on this launch are the contest prizes. This is perhaps one of the most exciting and anticipated parts of any large launch. The prizes available for the top 21 affiliates add up to over $50,000! It is like a little bonus “thank you” for doing a good job as an affiliate. Kartra puts everything together to ensure that you have a successful affiliate campaign. They offer everything from email swipes to customer support with their affiliate support team. It is an opportunity that should not be missed. One other thing they have put together is an awesome product. When you promote it, you can be sure that you are promoting something that is high quality and very useful to any online business. The best time to start promoting Kartra is before it actually launches. You can build up anticipation for the product and then once launch day hits, you can begin watching the commissions come in. 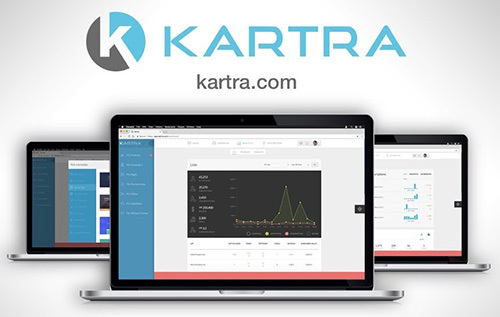 Kartra Review – The Ultimate All In One Business Platform? Kartra is an eMarketing platform developed by Mike Filsaime and Andy Jenkins. The owners claim that Kartra will be a game changer due to its unique combination of essential marketing and eCommerce tools all under one software to help centralize your business operations. The software will be officially launched on 21st March 2018 and there has been a lot of anticipating prior to its launch as it looks like a really good bargain outside. The development of Kartra can be traced back to the need for the founders to come up with their own eMarketing solution to help with their online businesses. Luckily, these individuals decided to be a bit generous with the software and make it available to us as well. To ascertain on how well this software is, the founders began using it for their own entities while it was still in the alpha phase. They decided to bite the bullet and face most of the development challenges with their own business and then add some essential features along the way to make it even better. This is the first page you will come across when you log in to your account. It showcases most of the important Kartra functions and gives you a perfect place to navigate through most of the other sections of kartra. On your top right corner, you will see a silhouette icon and you can use it to change your administrator profile, something that should be done first as it sets the pace for the whole software. This function gives you the ability to add your existing products. It also allows you to keep tabs on your sales and analytics while giving you an option of adding affiliates to help sell your products. You can select which affiliates get to promote which products and how much they get for each sale. The software is connected to a Kartra marketplace where you can choose to promote your products rather than struggling to search for affiliates on the web. This tab allows you to set up email lists, email campaigns and tags for individuals on your lists. These tags allow you to automate your campaigns making them easier to manage and control. This function allows you to build up a fully working page. You do not have to go through the process of building pages using other platforms when using Kartra for your business. You can also come up with lead generation pages to hold your multimedia content. This feature allows you to integrate your leads into a database. You are required to instruct Kartra on what functions it needs to perform and it will designate leads to lists, and automatically tag them among other things. This gives you the ability to come up with a customized website with varying membership levels and different content for each of these levels. You can be able to talk to the users through comments, come up with a unique helpdesk and upload content to your members. This is a unique in-house video hosting ability offered by Kartra. You are not required to hold a membership website to post videos for people to see. Under this function, you can come up with flexible videos with customized features for watchers. You can easily add the videos posted under this section to you membership portals in the previous section. They allow your customers to reach out to you in case they are experiencing any trouble with your platforms or products. This feature does not limit you to coming up with several helpdesks to respond to tickets but also allow you to come up with chats, calls and have responses to common problems at the ready. Aside from that you can add a bank of information regarding your product to allow customers to browse through them first and check out solutions to common problems before opting to file a ticket. Aside from finding affiliates to help promote your products, you could become a marketer and help to sell the products developed by other Kartra users for some commision. Using this part, you can browse through some of the products you are interested in and apply as an affiliate marketer. 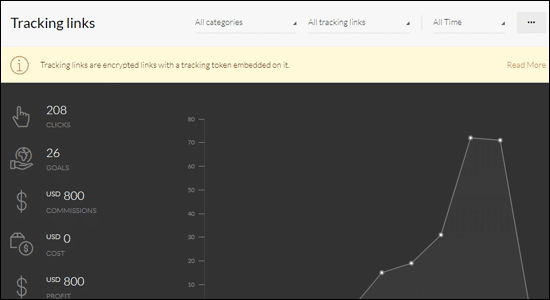 You can then track all your promotions and see which ones are generating the most revenue. For an extensive review of all the mentioned features, you can always look at the comprehensive analytics in every section and see which pages are being checked out more often and which ones are lagging behind among others. The number of leads offered in each plan and features one has access to differs with the platinum plan offering up to 50,000 leads.However, there are lots of coupons available on the web and you could use them to purchase any of these plans at a lower price. What Makes It Different From Other Similar Software? Kartra is regarded as the difference and there are many reasons why this product is unique in the market. First, most of the products you will come across are specialized in either email marketing, lead generation or affiliate marketing among others. The ones that try to blend these marketing functions will put together two or more functions and then leave out the rest. Well, Kartra is different as it serves as your one-stop shop for keeping your online venture up and running. It works differently as it was mentioned before with it being more goal oriented as opposed to being task oriented. What does it mean to be goal oriented? It simply means that this software expects you to think in reverse, as in try to look at what you are trying to attain and not the initial steps for doing that. For instance, imagine that you want to come up with a landing page that will help you to convert traffic into subscribers. That is what you want to accomplish, right? Now look at at the goal which is converting a lead and wonder what is the final step in the entire process. There are several possibilities to this one but a common one is that you will expect your subscribers to sign everything off by seeing a thank you page, which may be the end product of the entire process. Now Kartra expects you to do things differently and come up with the Thank you page first. This is an example of working in a goal-oriented manner as you will think of designing this page and then work backwards all the way to the first page. For the growth of any business, it is important to have a smooth connection between the different functions. Kartra is the technology that runs your entire business and will help you to grow it. It connects all the aspects of your venture and keeps you informed on the performance status and so much more. You do not have to worry about using Kartra as the official website contains a lot of information on how you can use the software for your business. This information is in form of text and explainer videos to illustrate what is being explained for better understanding. Looking at the cost of some of the plans offered by Kartra, it is evident that you are getting good value for your money. Very few platforms on the internet can offer all the functions offered by Kartra, integrated into one platform and at the quoted price. I would say that Kartra is a really amazing bargain at the quoted price. It is evident that running an online business requires a proactive and real-time analytic tool that will help you to monitor progress and make changes to areas that are not performing up to the expected standards. Kartra has a detailed analytics section that gives you complete view of how your online ventures are performing. When creating your marketing pages, you do not have to start from scratch or look on the internet templates as Kartra offers some gorgeous ones that will help you come up with professional pages for your online venture. Kartra contains some amazing eCommerce tools for coming up with new subscriptions, creating free trials and setting up payment plans that allow people to pay for your products, while also allowing for asymmetrical billing. While the pricing of the plans is great, there is a little problem with the subscription for some businesses. The monthly payment is not favorable, especially for online businesses that endure some dips in revenues accrued over some time. It would have been perfect if the owners would have quoted a one-off price for the software as opposed to the monthly subscriptions. It is evident that Kartra is a great platform for running your online business. However, the integration process has not been clearly spelled out and some businesses using other software may find it hard to integrate into Kartra and start enjoying the benefits. Kartra is a detailed software with several amazing features that cannot be all mentioned here. What has been highlighted here is just a scratch of what it offers and honestly, very few online platforms can beat what it offers. It is an online’s entrepreneur’s dream to have a single dashboard where they can manage all their online ventures and help initiate some of them without having to struggle to deal with several tools. This tool is Kartra and I believe that it will help so many online entrepreneurs to improve their operations and generate more revenue. While the price is seen to be a limiting factor, especially for small ventures that wish to get the most out of the elite plans, there is always an option of starting out from the basic plan and then scale up as the revenues grow.